CHRS Recruiting is Coming to Stan State! To help us attract, hire and onboard talented faculty and staff more efficiently and effectively, Stan State is moving to a new software solution called CHRS Recruiting, built in PageUp. It is the first piece of the Common Human Resources System (CHRS). Approvals can move faster without waiting for papers to be routed around, thanks to electronic workflow. Manual workload can decrease since data will automatically upload from PeopleSoft, rather than doing double entry. Applying for a job is easier and more attractive with features such as resume parsing and application via mobile devices. Information can be captured and conveniently accessible since all recruiting data can be tracked within the system, rather than using outside tools such as Excel. Hiring effectiveness can be improved through easy-to-understand analytics regarding recruiting expenditures and candidate pipelines. Onboarding new employees can be streamlined by using a centralized system including electronic checklists to track the onboarding process. Security and data integrity can be improved because papers are not being routed. Employees are granted access based on the roles they perform. Systemwide reporting can be easier and faster thanks to a common system. 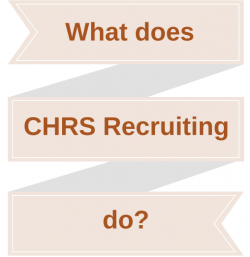 CHRS Recruiting is built in software called PageUp. This has allowed a common CSU-wide system foundation to be created, as well as permitting each campus to configure the software to best meet their needs and processes.